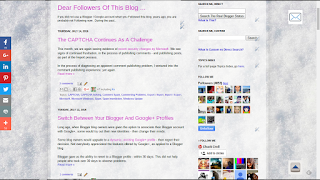 The "Unfollow" button is there, to let you stop Following a blog that you are Following. 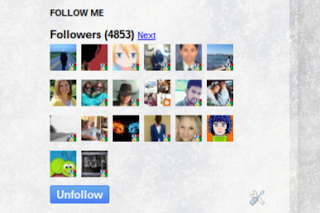 "Unfollow" lets you stop Following any blog - yours or not. If you are Following this blog, you should see a button labeled "Unfollow". Previously, "Stop Following" was just one link, in the Followers gadget Options menu. Now, it's a button, in the gadget. This blog, with the Followers gadget, as I see it. 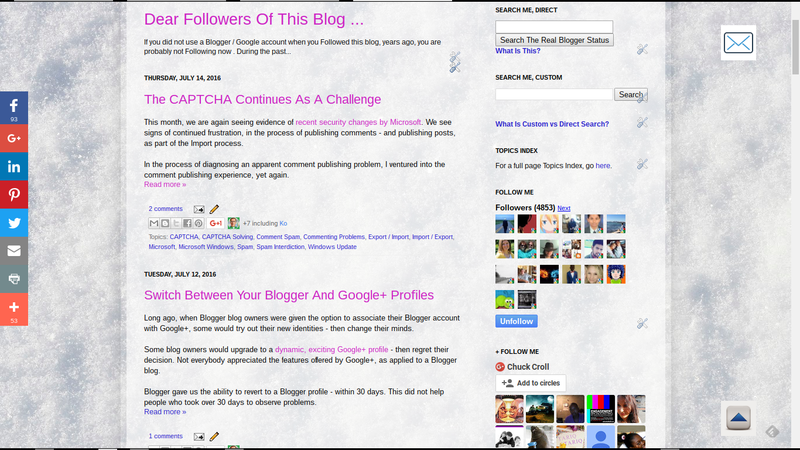 If I wish to Unfollow a blog - possibly because I can Follow only 300 blogs at any time - I can click "Unfollow". Since I am Following my blog, I see a button labeled "Unfollow". Long ago, "Stop Following" was an "Options" menu selection. Previously, the "Stop Following"" option was available, behind the "Options" link in the gadget. What we used to see. 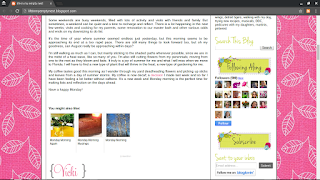 A blog that you are not Following will display a "Follow" button. We see a "Follow" button, on blogs that we are not Following. I am not Following this blog. Since I am not Following this blog, I see a button labeled "Follow". It's that simple. If you are Following a blog, you'll see an "Unfollow" button. If you're not Following, you should see "Follow". 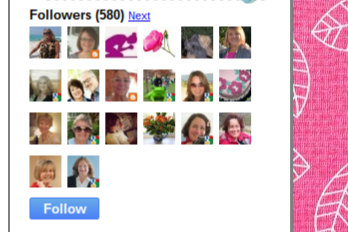 If you wish to Follow, you will need a Blogger / Google account - though not necessarily a GMail account. 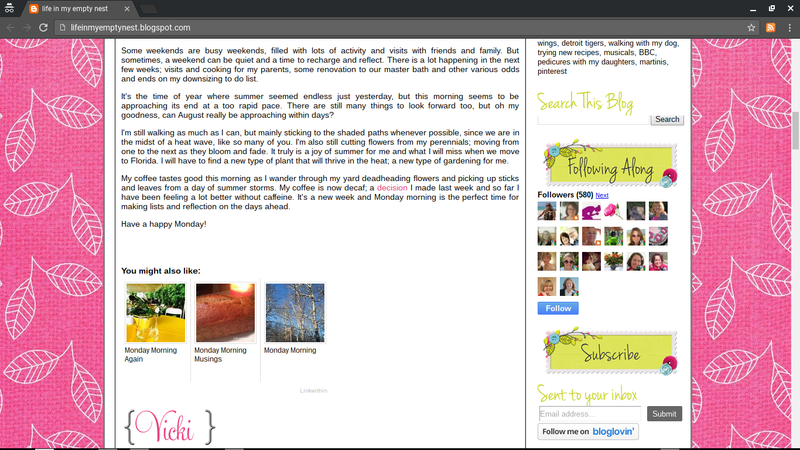 If you see "Follow" when viewing this blog, you are welcome to click on the button. The "Options" wizard is now titled "Manage followers" - and is accessed through a link in the Stats dashboard page. Right now, the "Block" button is the only "Manage followers" option. 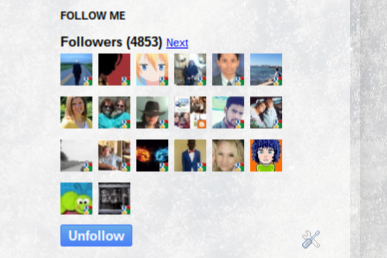 The #Blogger Followers gadget now has an "UnFollow" button, visible to people who are Following a blog. Previously, "UnFollow" was a "Stop Following" selection, in the gadget "Options" menu. 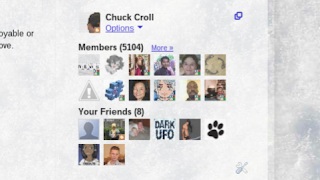 Since I follow my own blog I see the "unfollow" button, but since getting the new follower's gadget I know longer can view the number count, unless I highlight that area. Thank you for your explanation of the new widget. I'm oblivious and didn't even notice the UNFOLLOW button until you pointed it out. Thanks. Any idea how to get the "Followers (4853)" title text to appear on a black background? Tried overriding in CSS but could figure it out.